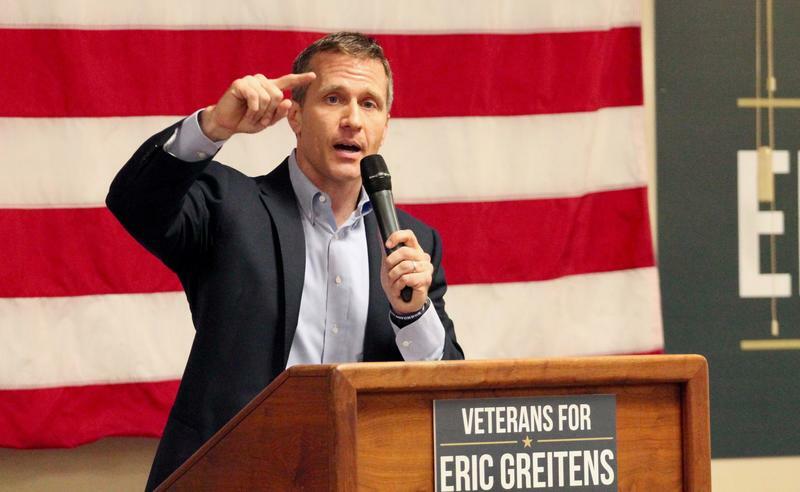 Republican Eric Greitens exults in his victory for Missouri governor. 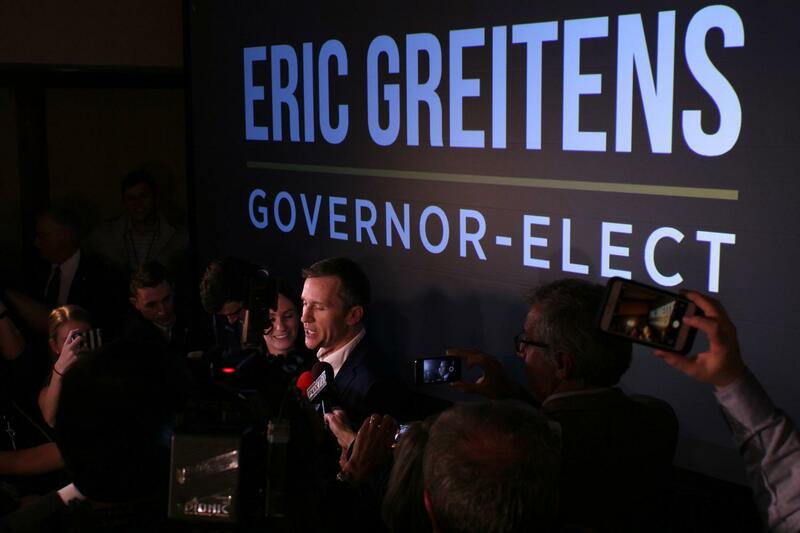 Eric Greitens, a best-selling author and former Navy SEAL, becomes the Missouri’s next governor. Like Trump, Greitens has never held political office. 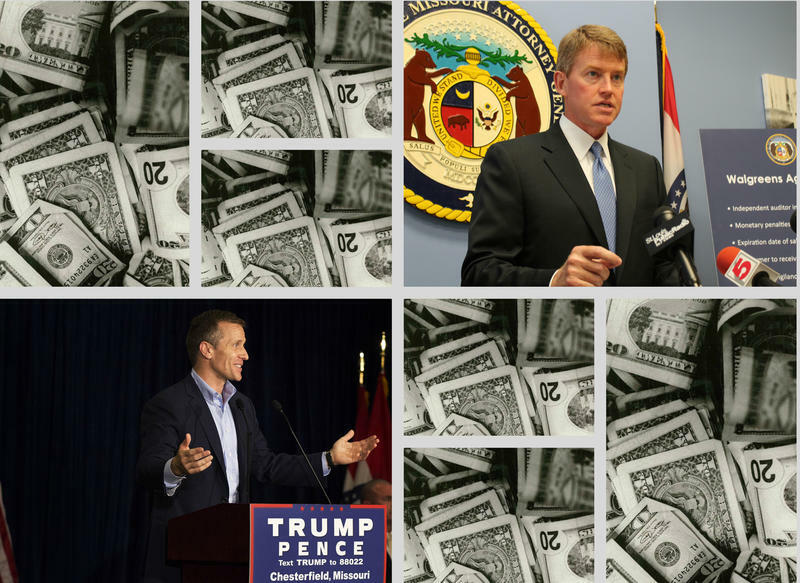 And like Trump, Greitens promised to “drain the swamp’’ of what he called corruption by some in both parties who are – or were – leaders in Jefferson City. Greitens promised in his victory speech late Tuesday "to build a stronger and better Missouri." He overwhelmingly defeated Missouri Attorney General Chris Koster, who had been seen as Missouri Democrats’ strongest candidate. 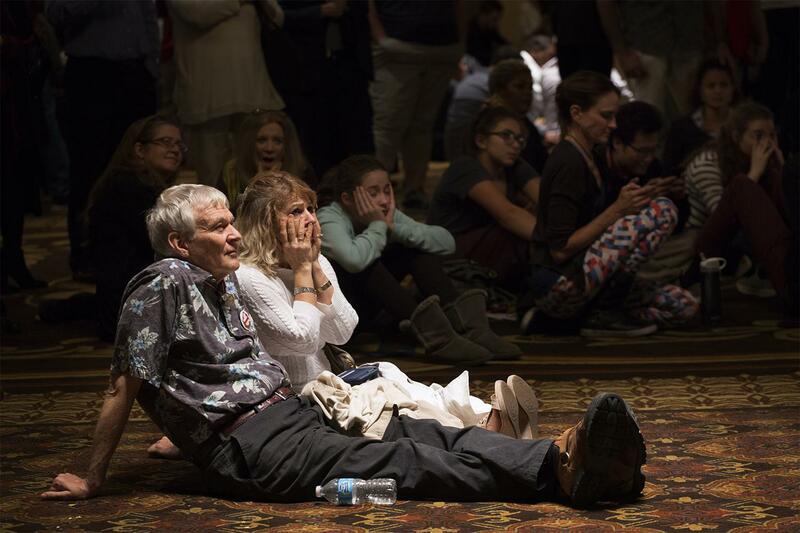 U.S. Sen. Roy Blunt, R-Mo., also won his re-election, defeating Missouri Secretary of State Jason Kander in what had been one of the nation’s most closely watched Senate contests. Their battle had been expected to be close, according to the polls. After leading handily much of the night, the final vote tallies show that Blunt won by about three percentage points. Referring to the GOP sweep, Blunt said in his victory speech, "The opportunity to move forward in our state just multiplied by a significant number of times." Jay Ashcroft, son of former governor/U.S. Sen. John Ashcroft, who is the next secretary of state. All three of the down-ballot victors won by margins of more than 300,000 votes apiece. Democrats have controlled all but one of Missouri's state offices. As of January, the Democrats will only hold one: state Auditor Nicole Galloway. Tom and Tayebeh Hardy watch presidential election results come in at the Koster campaign's election night watch party at the Chase Park Plaza. Leaders in both parties appeared to be privately stunned by the magnitude of the GOP’s statewide victories. Missouri Republicans have never held so much power in Jefferson City in modern times. The GOP controlled most of the statewide offices in the 1980s, and both Senate seats by the late '80s, but Democrats were in the majority of the General Assembly. Blunt, who has been in the Senate since 2010 and in Congress for 20 years, will return to a chamber controlled by Republicans. His success is a defeat, in part, for his Missouri colleague, U.S. Sen. Claire McCaskill, D-Mo., who had been aiding Kander. She has noted that Blunt had worked unsuccessfully to defeat her in 2012. Greitens, 42, lives in St. Louis with his wife, Sheena, and two young sons. He is known nationally for his work founding "The Mission Continues," a nonprofit that seeks to help returning military veterans. His campaign message has focused on his military service and his past. His favorite phrase: "If you want different, do different." 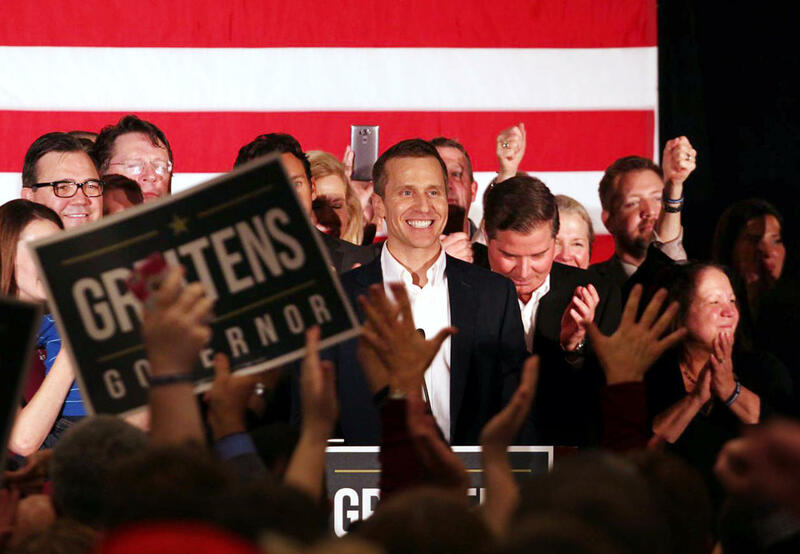 In his victory speech, Greitens highlighted his promises to clean up state government, which has had several recent scandals involving legislators in both parties. He also underscored his opposition to expanding Medicaid, as sought by Koster and other Democrats. Eric Greitens on the trail and in victory said "If you want different, do different." Greitens may seek to reach out to some GOP legislative leaders who had been privately offended by his criticisms of state government. But there will be one key point of agreement: In his final rallies over the last few days, Greitens reaffirmed his support for "right to work,'' and promised to sign a law that would bar unions and employers from requiring all workers to pay dues or fees. Missouri AFL-CIO president Mike Louis asserted in a statement late Tuesday, "It's a sad day for working Missourians. With the election of Eric Greitens the security of our livelihoods is being threatened. Good jobs, decent pay, safe work places are all at risk of disappearing."